IS220D 2.2. 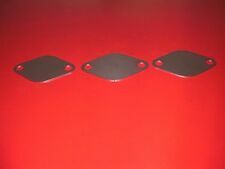 EGR blanking plate 1.0 mm stainless steel. 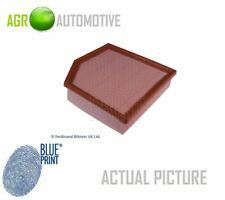 The EGR blank fits the Lexus Is220 D 2.2. Avensis 2.5 D4D. Avensis 2.0 D4D. 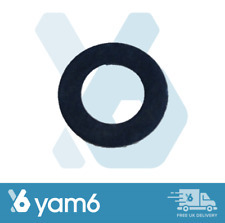 These are used to fasten the top engine cover trims. Easy to fit - put in the hole and push the pin in so it sits flush with the top part of the flange head -. LEXUS IS200 2.0 GX10 ALL MODELS 1999 - 2005. However delays are occasionally inevitable due to unforeseen circumstances. © A to Z Motor Spares (Wakefield) 2018. TO FIT THE FOLLOWING VEHICLES. LEXUS IS200 ALL MODELS 1999 - 2005. 1 X NEW ALTERNATOR AUXILLARY FAN BELT. 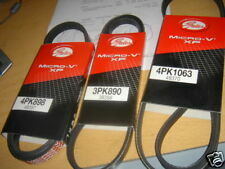 1 X NEW POWER STEERING BELT. THIS ENGINE COMES WITH 90 DAY GUARANTEE Pease be aware this part is used, previously fitted second hand item. There may be some cosmetic scratches and or marks. Please view all images. Engines are sold without ancillaries such as Turbo, Starter Motor, Alternator e.t.c. unless otherwise stated in the item description. Please ask for more information. All parts are supplied with a 30 Day Guarantee (Please view our Terms of Sale) The information below shows details of the donor vehicle. This is to be used as a guide only. Any mileage information shown is not guaranteed. From a Toyota Lexus Soarer SC400 SC300 Mk2 3.0 2JZ-Z20 (non-VVTi), Automatic Transmission - A340E. Truly excellent Working Condition - this was my car and the engine can be 100% vouched-for; very smooth, silent and strong. 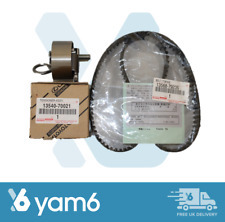 New Genuine Toyota Timing Belt and Tensioner Set. ** THIS ENGINE COMES WITH A 90 DAY GUARANTEE ** Pease be aware this part is used, previously fitted second hand item. There may be some cosmetic scratches and or marks. Please view all images. Engines are sold without ancillaries such as Turbo, Starter Motor, Alternator e.t.c. unless otherwise stated in the item description. Please ask for more information. All parts are supplied with a 30 Day Guarantee (Please view our Terms of Sale) The information below shows details of the donor vehicle. This is to be used as a guide only. Any mileage information shown is not guaranteed. For A21525. Engine Cover Push Type Retainer Clip Fastener. For Lexus EX 350, IS250, IS350 2004-2012. 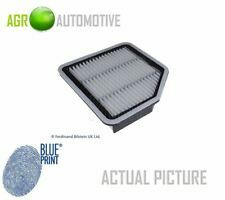 For Lexus Replaces 53259-0E010. 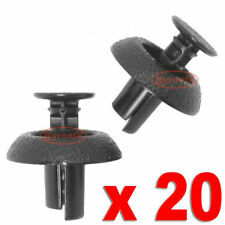 Pakeage included: 50pcs x Engine Cover Clip. Due to light and screen difference, the item's color may be slightly different from the pictures. (Lexus-Celsior LS400 XF20) Engine: 1UZ-FE 4.0 V8 VVTi Petrol. Automatic Gearbox A650E. Engine: 1UZ-FE. From a year 1998 Lexus LS400 Gen2 Mk2 Facelift model. Isle of Wight, Scottish Highlands and Islands of Scotland:- HS, IV, KA27-28, KW, PA20-49, PA60-78, PH17-26, PH30-44, PH49-50, ZE, Channel Islands (Jersey & Guernsey), Isle of Man and Isles of Scilly and Northern Ireland :- IM, TR21-25. Removed from a 2006 ( IS 2005 To 2010 range) Lexus IS SE 2.5 Petrol 6 Speed Manual 4 Door Saloon, Engine Code 4GR. Lexus IS Engine. Engine Capacity. Engine Code. Gaskets & oil seals are not covered. Title to the goods shall remain with SYNETIQ Ltd. (until paid for in full). Eng Code/Series: 1GFE. 1 X TIMING BELT TENSIONER. 1 X TIMING BELT IDLER. LEXUS IS 200 2.0 24V 1999 - 2005. TIMING BELT KIT. 1 X NEW TIMING BELT. 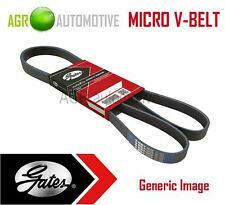 GATES -TIMING BELT KITS AVAILABLE FOR ALL MAKES AND MODELS. THIS ENGINE COMES WITH 90 DAY GUARANTEE EXCHANGES: ENGINES, GEARBOXES & DPFs/CATs ARE SOLD ON AN EXCHANGE BASIS – PLEASE MESSAGE US THROUGH EBAY AND WE WILL COLLECT THE CORE UNIT FREE OF CHARGE. FAILURE TO RETRIEVE THE EXCHANGE UNIT WILL RESULT IN VOID OF WARRANTY. Pease be aware this part is used, previously fitted second hand item. There may be some cosmetic scratches and or marks. Please view all images. Engines are sold without ancillaries such as Turbo, Starter Motor, Alternator e.t.c. unless otherwise stated in the item description. Please ask for more information. All parts are supplied with a 30 Day Guarantee (Please view our Terms of Sale) The information below shows details of the donor vehicle. This is to be used as a guide only. Any mileage information shown is not guaranteed. Removed From A 2014 Lexus 2.5i IS Hybrid 300F Sport Dual VVTi - 5 Door Saloon - Engine Code 2AR-FSE(133/164KW) - Mileage 3706. IS Hybrid 2013 To 2016. 2.5 Petrol/Electric Engine. Engine Capacity. Engine Code. LEXUS RX300 V6 3.0 VVT-i ENGINE. LEXUS IS200 / TOYOTA ALTEZZA 2.0 1GFE 1G-FE 6 CYL 24V HEAD GASKET SET. USED PART dispute we assure, your problem will be resolved ASAP. 1533046010, 1533046011. Lexus GS300 IS300 SC300 1997-2005 Toyota Supra 1993-02. Camshaft Variable Timing VVT Solenoid Valve. Toyota / Lexus. LEXUS GS 300 Saloon (UZS161, JZS160) 10/2000 - 03/2005 2997 161 219 2JZ-GE. 2010 LEXUS RX 450H 3.5 HYBRID AUTOMATIC BARE ENGINE ONLY. 2010 LEXUS RX 450H SE-I CVT 3.5 PETROL HYBRID ELE AUTOMATIC. THE PRICE ADVERTISED IS FOR THE BARE ENGINE ONLY. ENGINE CODE: X2GR-R62A, J102312. Highlands, Islands and Ireland such as the following AB31 TO AB56, ON, BT, GY, HS, IM, IV, JE, KW, PA20 TO PA78 AND ON., PH, PO, ZE as well as any OFF SHORE ISLANDS. Lexus - GS - GRS19_, UZS19_, GWS19_ [2005-2011] Saloon - 2995ccm 249HP 183KW (Petrol). LEXUS IS 220D 2.2 DIESEL 2007 BARE ENGINE. REMOVED FROM A 2007 LEXUS IS 220D 2.2 DIESEL 6 SPEED MANUAL. PARTS CITY LTD.
Model: IS220D. Make: LEXUS. Item for sale: 2005-2012 2AD-FHV ENGINE BLOCK BOTTOM END. Condition: GOOD USED. In the unlikely event that you receive a part that is not working the warranty covers the defective part or parts only and does not cover any labor costs you may have for fitting and/or removing of parts. CARBON FIBRE ENGINE COVER SILVER. It is very expensive to own a car in Japan. Japanese vehicles have less miles in comparison to the UK. It only makes sense because one can travel from Osaka to Tokyo for just £100 by bullet train with no hassle of parking and expense on fuel. Lexus 2.5 GS250 IS250. You are buying a Full Engine Gasket Set including MLS Head Gaskets & Valve Stem Seals & Crank Seals. Be confident you will get what you ordered; and if by chance a problem occurs we fix the issue very fast with no quibbles! 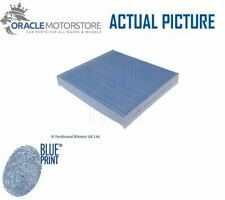 Head Gasket Set (JE00838) - QTY:1. Any claims after 24 hours will be dismissed for a claim. Failure to do so will delay your order. WE REQUIRE YOUR. Product Warranty. REG NUMBER. 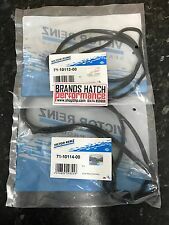 Genuine Lexus IS200 Timing Belt and Tensioner Set. This is the timing belt and tensioner for the IS200 model all ages from start of production UK spec only. Lexus Birmingham is the Lexus franchise dealer for Birmingham. Any claims after 24 hours will be dismissed for a claim. Highlands, Islands and Ireland such as the following AB31 TO AB56, ON, BT, GY, HS, IM, IV, JE, KW, PA20 TO PA78 AND ON., PH, PO, ZE as well as any OFF SHORE ISLANDS. IS200 1988cc Engs 1G-FE 1999 on. 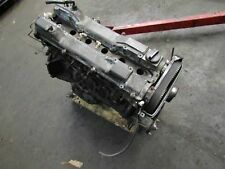 ALTEZZA 1988cc Engs 1G-FE 1998 on. LEXUS / TOYOTA 2.0 24V 6 CYLINDER DOHC ENGINES. EXCHANGES: ENGINES, GEARBOXES & DPFs/CATs ARE SOLD ON AN EXCHANGE BASIS – PLEASE MESSAGE US THROUGH EBAY AND WE WILL COLLECT THE CORE UNIT FREE OF CHARGE. FAILURE TO RETRIEVE THE EXCHANGE UNIT WILL RESULT IN VOID OF WARRANTY. Pease be aware this part is used, previously fitted second hand item. There may be some cosmetic scratches and or marks. Please view all images. Engines are sold without ancillaries such as Turbo, Starter Motor, Alternator e.t.c. unless otherwise stated in the item description. Please ask for more information. All parts are supplied with a 6 Month Guarantee (Please view our Terms of Sale) The information below shows details of the donor vehicle. This is to be used as a guide only. Any mileage information shown is not guaranteed. Camshaft Variable Timing VVT Solenoid Valve. Lexus ES GS IS 250 300 350 450 1997-2005. Toyota / Lexus. LEXUS ES (AVV6_, GSV6_, ASV6_) 350 06/2012 - 3456 204 277 2GR-FE. LEXUS ES (AVV6_, GSV6_, ASV6_) 350 01/2014 - 3456 183 249 2GR-FE. LEXUS IS220d 2.2 DIESEL ENGINES,NOT INCLUDING INJECTORS,TURBO,FUEL PUMP ETC. Product Description OE Number For Reference: 89615-12090 X 2 89615-12050 Package Quantity: 1 set of 3 pieces 2 pcs Knock (Detonation) Sensor With 1 pc Electrical Connector ( Pigtail Wire Harness) Warranty: 12 month Color: As the pictures show Application: For 89615-12090 89615-12050 Toyota Lexus Item condition: 100% NEW Please make sure the OE in our listing is the same with your car part number. ENGINE CODE: 4GR 0352648. 2012 LEXUS IS 250 SE-I V6 2.5 PETROL 6 SPEED AUTOMATIC. THE PRICE ADVERTISED IS FOR THE BARE ENGINE ONLY. Compatibility is a guide and not a complete list. Part Number: K01T298 (Ref.Only). LEXUS SC 430 4.3 VVTi 4293 08/2001-07/2010 32/8 Petrol 3UZFE. LEXUS SC 430 4.3 VVTi 4293 01/2009-07/2010 32/8 Petrol 3UZFE. Model: SC 430. GATE TIMING BELT KIT. 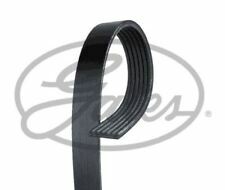 Product Type: Gate Timing Belt Kit. 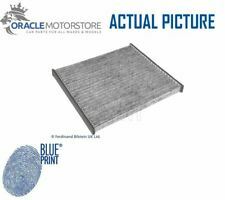 LEXUS IS200 2.0 1GFE 1G-FE 6 CYLINDER 24V 1999-05 HEAD GASKET. LEXUS I220 Diesel engine runs spot on no problems or lights on the car This car is for breaking any information regarding this or anything else required please message and I will answer all questions or list anything needed as a buy it now in accordance with eBay rules Earlier this year, Ebay updated our links and contact information policies. ￼ You can no longer include contact details or links in item descriptions. 3.0L 2997CC l6 GAS DOHC Naturally Aspirated. Base Sedan 4-Door. Twin Turbo Hatchback 2-Door. Part Number：15330-46011,15330-46010. Base Coupe 2-Door. Base Hatchback 2-Door. Sportcross Wagon 4-Door. 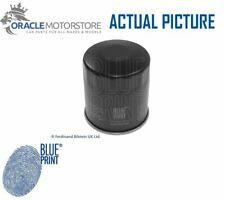 TOYOTA PRIUS / AURIS / PRIUS PLUS / AVENSIS OIL FILTER HOUSING CAP ! TOYOTA AURIS 2010 - 2017. TOYOTA PRIUS PLUS 2012 - 2016. LEXUS CT200 H 2011 - 2016. TOYOTA COROLLA 2009 - 2016. TOYOTA PRIUS 2009 - 2017. REMOVED FROM A 2008 IS XE20 (MK2) IS250 WITH ENGINE CODE 4GR-FSE. PART NUMBER-. Images are for guidance only.